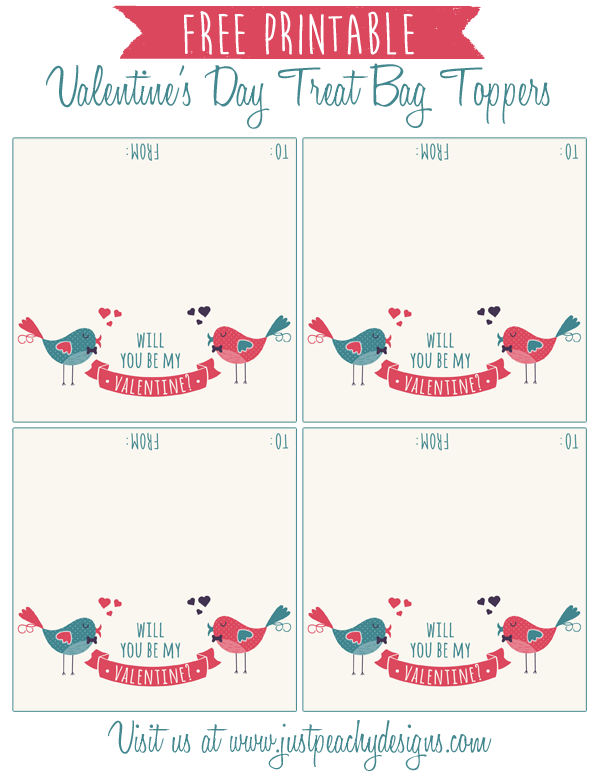 Here's a set of free printable Valentine's Day Treat Bag Toppers to use for gift-giving and classroom parties. It features adorable birdie clip art that I downloaded for free at Freepik.com, which has lots of amazing free stuff for designers and crafters. Go check it out! To download the treat bag toppers, click the link below. 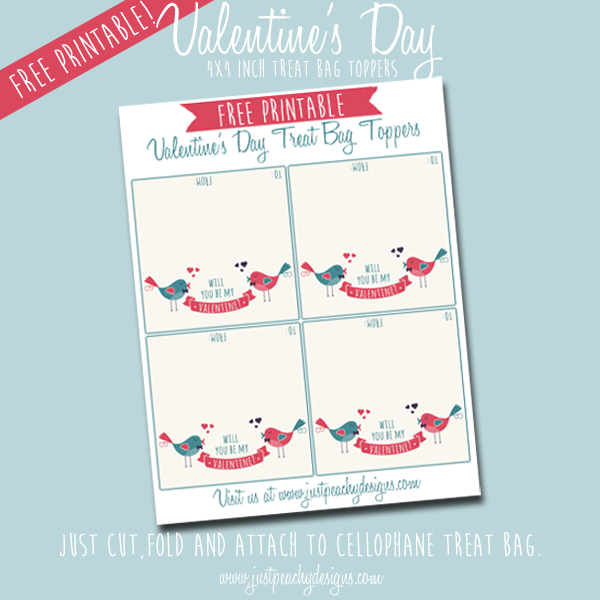 Just print, cut and fold the toppers, then attach each to a 4x4 inch cellophane goodie bag. Enjoy, and have a Happy Valentine's Day!